Do you have what it takes to escape the haunted hotel? Will you be able to solve the murder mystery? Nebraska’s awesome escape rooms put all your problem solving and team working skills to the test! Let’s see if you’ll find your way out in time. Here are the 10 best in the state. House of Conundrum is Omaha’s most popular escape room attraction in Nebraska, earning it a five-out-of-five-star rating. Every room has a clue, and there are seven different, interactive, fun and challenging rooms to choose from: Zombie Apocalypse, The Bat Cave, The Sherlock Solution, Saving Lincoln, Tomb of Doom, Rescuing the Revolution, and 20,000 Leaks Under the Sea, where you must use your MacGyver like skills to rescue yourself and your fellow crew members before you sink! Escape Lincoln is located in the historic Haymarket building and features nine different escape rooms, all designed with different themes, clues, and designed by creators wanting to create the best experience for their customers. Rooms include: Mafia’s Muse, Poe’s Nevermore, Retro Rush, Abstract Thinking, Attention to Detail, Expert Escapees, Good Story, Immersive Experience, and Large Groups. Each room is designed specifically for those who are nerds that love Poe, newbies to the escape rooms, and small groups. 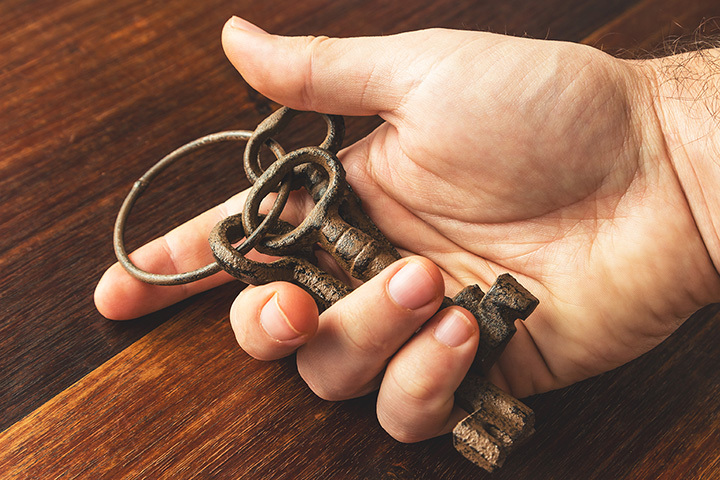 The Escape Omaha has the BEST live escape rooms, with four different games to choose from. If you’ve always wanted to be a spy or a crime scene investigator, now is your chance! Navigate your way through The Lost Antidote where you must extract the antidote from a mad scientist, travel through Area 405 and discover the dangerous extraterrestrial cover-up, Upton Murder where a bizarre crime scene has investigators stumped as they race to stop a killer from striking again, or the Conquered Embassy, where your cover has been blow by a fellow spy and now you find yourselves following clues filled with espionage, diplomacy, and betrayal! Come to prepare to think outside the box with Locked Rooms Omaha, recommended for those ages 12 and up. Each team must work together to get through the escape rooms which feature logical, physical and searching puzzles. Will you be one of the survivors of the infamous Titanic, or will your last hour be spent trying to figure out how to escape the ship’s cargo hold? You may lose your taste for wine after visiting the Death by Wine escape room where an eccentric millionaire prefers delicacies of the human variety and you must find the antidote to counteract the highly potent neurotoxin you just drank or become the next meal. And last but not least, the Zombie Escape Adventure. How will you survive? Entrap Games is Omaha’s premiere escape room experience, featuring unique, interactive entertainment where you and your friends or a complete group of strangers only have 60 minutes to escape or complete the challenge. Enjoy the Ransom room, where you’ve been kidnapped after heading to bed and must crawl through a series of clues for a quick escape before they return, or the Off-Limits Escape Room, in which your eccentric co-worker has invited you for a party and tells you to stay out of the one room that is off-limits—do you sneak a peek? The Junkyard Escape Room is the number one destination for adventure and puzzle lovers throughout the Midwest. Find yourselves locked inside the Berserk Hotel where Annabelle Cunningham mysteriously disappeared after having checked in. The police never found her body, and some say she was murdered by supernatural creatures and that her soul still wanders the inside of the hotel. Will you survive the night? The only way to survive is to find Annabelle’s soul and the key! Campus police receive an alert that there was a robbery at the Memorandum Stadium. The stadium is on lockdown and the burglars are still inside, as is the prized trophy—will you stop them and save the trophy? Good, clean mind-bending fun is what visitors will find when they visit the Sleuth Escape Room in Kearney, Nebraska. Battle your way through the Knucklehead Garage where, after the last time of Grandma Gert running her car through the wall, manager Larry hid the keys – but now he can’t find them! Visit Uncle George’s Bomb Bunker where Uncle George went a little overboard and had his bunker locked a little too tight and now you can’t find a way out! Da Vinci had a secret, and it’s up to you to find and protect it before the authorities arrive to take it! Crack the codes, use your gut and solve the riddles as you find out if you have what it takes to get out in time of the Get Out Omaha Escape Room! There are four rooms to choose from: Civil War, in which you and your fellow soldiers have been captured and you have one hour to get out before your captors return, The Gambler, in which you race to save the beloved Oceanside Casino, Y2K where once the clock strikes midnight, the Y2K bug takes down computer networks around the world unless you can reset it, or the infamous Room 13 and the past and the present come together as the voices guide you to your freedom. Even the most die-hard, extreme gamers will enjoy Escape Room Lincoln. There are five themed rooms to choose from: The Cure, Missing Musician, LiCastro’s Lair, Hacker: Corruption Disruption, and Judgement. If you’ve ever dreamed of solving a murder, stopping a bomb or a dangerous virus (minus all the real life hazards of course) this is the place to go! From the creators and the twisted minds of Mangelsen’s Prop Room and Shadow’s Edge Haunted House comes Crack the Code Escape Rooms, an ‘immersive’ reality game developed to give you and others the ultimate escape room experience. Visit Beyond the Magic Escape Room where you must decide if your friend’s father is a magician, or something more as you race against the clock to reverse the spell put forth before it becomes permanent, or The Safe House Escape Room, where you’ve been sent into the Soviet Union to destroy evidence left behind by a fallen U.S. spy. Better hurry though—the Soviet Officials are coming!